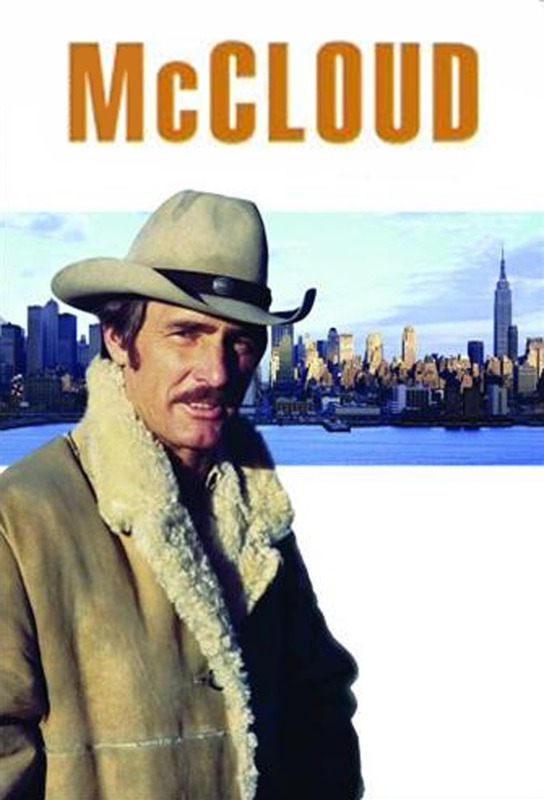 McCloud escorts a witness from New Mexico to New York City, but loses him to kidnappers and finds himself in a murder case involving Puerto Rican nationalists, a lady novelist, a Wall Street lawyer, and a dead beauty pageant winner. McCloud goes to help a lady in distress, but gets caught in a shootout that sends him back to Taos on Chief Cliffords orders. At the last minute, the Chief is kidnapped to force McCloud to act as a courier to Paris. McCloud is becoming famous thanks to press coverage. It doesnt endear him to the boys in blue, who have to deal with a string of drugstore holdups. McCloud is assigned to shepherd the cowboys at a visiting rodeo. Theyre old friends, and one of them is killed by a jealous rival over a woman, it appears. McCloud, whose new-found celebrity (thanks to an article by Chris Coughlin in the Chronicle) vexes the Department, is assigned to protect a British theatrical maven who has received letters assailing his filthy, obscene productions and threatening his life. McCloud complains about his assignment to rodeo detail, so Chief Clifford sends him to Special Auxiliary Force VI under the command of Sgt. Dameron, where he works to catch a murderer in Central Park. In Paris, McCloud and a stewardess try to locate a mysterious arms smuggler with ties to an American mogul and a New York gubernatorial candidate.